With the prospect of another blistering hot day and storm cleanup ahead of us, we got ready to tackle the job, on 2 hours of sleep. The rain started up again around midnight and continued until 5am in the morning. Neither of us could sleep, after the harrowing events of the day before. Every flash of lightning, every distant roll of thunder, our ears were attuned, ready for the sound of approaching winds, any warning of a repeat of the night before. When the dawn began to lighten up the early morning sky, we finally fell into a fitful sleep, before the days’ work was to begin. When we went outside, I snapped some pictures of the damage. Most of the stuff in our yard was minimal, but we worked 6 hours straight to get most of it cleaned up. 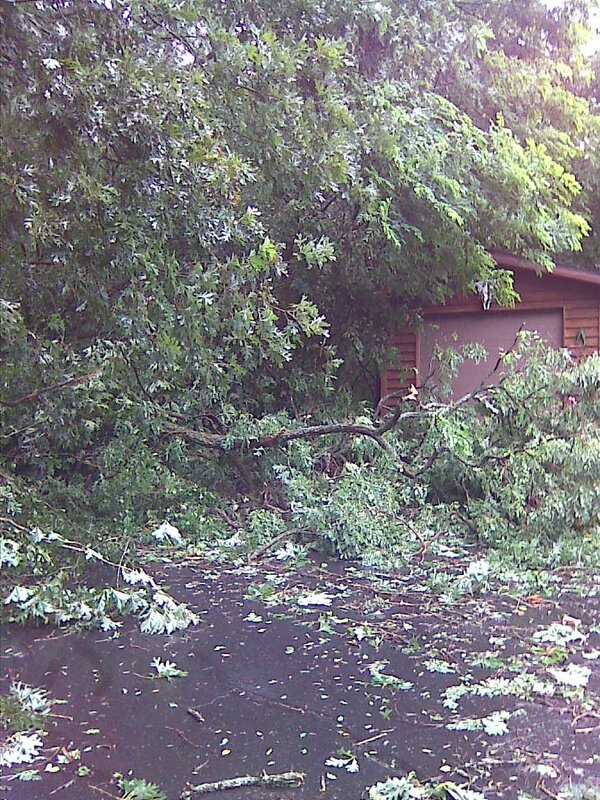 The second picture shows part of the tree that fell from the neighbors’ yard, over into our area. Nat’s car was partially covered by branches, but was unscratched. Four hours later, exhausted by the heat, we finished cleaning up the driveway. DH cleared away most of the branches of the tree that lay on the perimeter between us and our neighbors, clearing the way for the sun to once again shine on my poor battered herbs and rhubarb. All that remains for us now are the memories of the days and nights before. 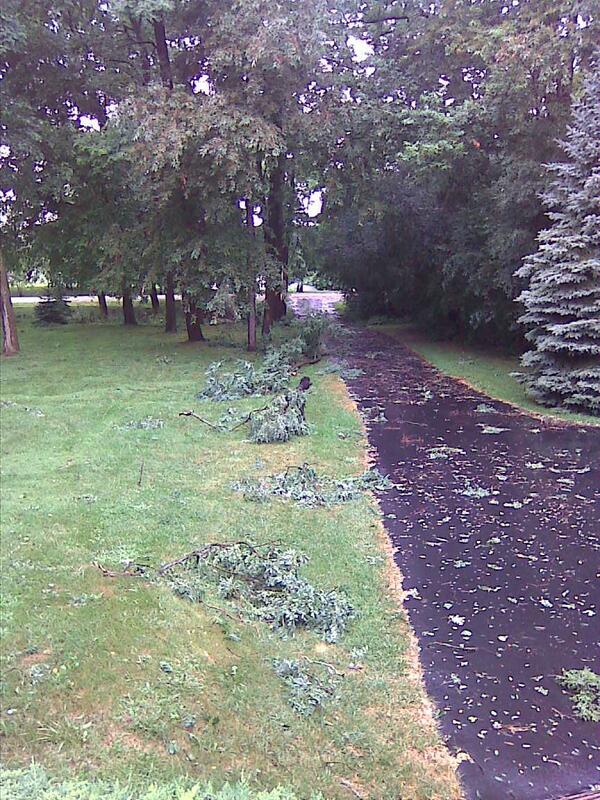 The mess next door is much worse, a reminder of the bigger job ahead for some lucky tree service.